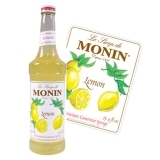 Monin Pear (Poire in French) syrup in a stylish 70cl glass bottle. 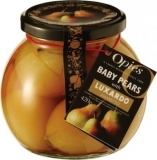 The pear is an ancient fruit, cultivated since antiquity and distantly related to the apples. The pear is a very diverse fruit, existing in several shapes, colours and flavours. Its colour ranges from light gold to green to red, while its flavour varies from tart to very sweet to spicy. Monin Pear features a delicious ripe Williams pear flavour and is perfect as an addition to your cocktails and non alcoholic beverages. Taste: Subtle Williams pear smell; acidulous, fresh pear taste. Applications: Cocoas, mochas, cocktails, dessert drinks, fruit punches, smoothies. 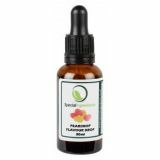 Sugar, water, concentrated pear and other fruit juice, flavouring. Total fruit juice: 33% minimum including 20% pear juice.